If you read this blog then you know two things i am a die hard DEMOCRAT, and two my favorite band is Fall Out Boy, they write clever songs wrapped in a commercial, stadium music package, how can you top that?. I have been listening to 3 tracks from the new cd and the results are amazing, i have never seen a band change their style 3 times and still deliver stellar product. 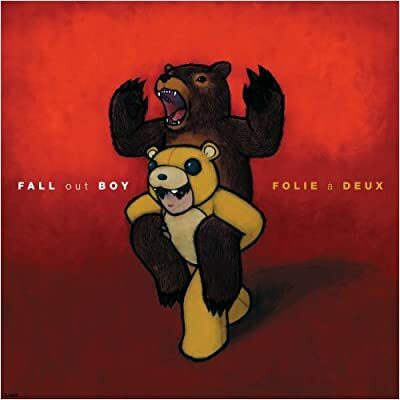 The new album is titled Folie a deux [Definition of Folie A Deux:(literally, "a madness shared by two") is a rare psychiatric syndrome in which a symptom of psychosis (particularly a paranoid or delusional belief) is transmitted from one individual to another.] and is slated to be released on December 16th [Get that] so below i have a few preview tracks and one unconfirmed track. TGTRAX after videos. Although this is all well and good and accurate, you made a few mistakes.